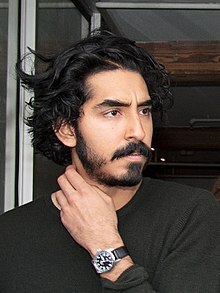 London-born actor Dev Patel known for his role in Slumdog Millionaire, was able to make it in nominations as the Best film supporting actor for playing Saroo Brierley in the film Lion, though he failed to make it finally. But it is time to reckon the young actor for his future chances of winning an Academy or Golden Globe Award in the future. 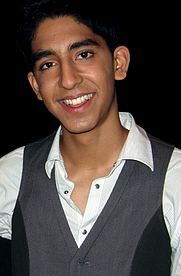 Patel made his screen debut as Anwar Kharral in the British teen drama television series Skins (2007–2008), though he had no prior professional acting experience. He was noticed by Danny Boyle’s daughter who pointed at him to her father when he was looking for not a hero but someone who could play the ordinary role of slum dweller in Mumbai slum. Once he played the lead role of Jamal Malik in Boyle’s film “Slumdog Millionaire” (2008), he never looked back for similar roles later. He was nominated for the Screen Actors Guild Award for Outstanding Performance by a Male Actor in a Supporting Role and the BAFTA Award for Best Actor in a Leading Role, and was awarded the Screen Actors Guild Award for Outstanding Performance by a Cast in a Motion Picture. Later, he went on to play the roles of Indian-origin characters as Neal Sampat on the HBO television series The Newsroom (2012–2014), as Sonny Kapoor in The Best Exotic Marigold Hotel (2012), in Night Shyamalan’s The Last Airbender (2010) and in The Man Who Knew Infinity (2015). Last year, he earned rave reviews for his performance as Saroo Brierley in Lion, which was nominated to golden Globe Awards 2017 though he could not make it. But certainly future beholds the award for him.